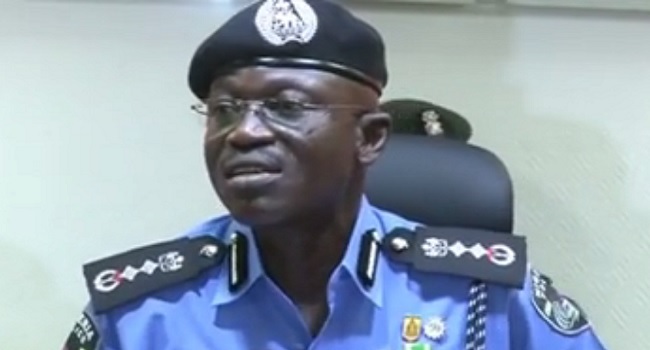 Several Assistant Inspectors General of Police in Nigeria have been redeployed to different states to supervise the April 11 Governorship and State House of Assembly elections. Their deployment was approved by the Inspector General of Police (IGP), Mr Suleiman Abba, on Thursday. In a statement, the Force Public Relations Officer, Mr Emmanuel Ojukwu, said six Deputy Inspectors-General of Police had also been redeployed to coordinate activities in the six geo-political zones. The redeployed AIGs are, Aigusman Gwary (Abia); Olufemi Adenaike, (Kwara); Mbu. J. Mbu (Ogun); Patrick Dokumor (Kaduna); Tambari Mohammed (Jigawa); Mohammed Abubakar (Gombe); Ikemefuna Okoye (Oyo); Tunde Ogunsakin (Rivers); and Jubril Adeniji (Bauchi). Others are, Yerima Irimiya (Imo); Adisa Bolanta (Akwa Ibom); Lawal Tanko (Lagos); Ballah Nasarawa (Benue); Musa Daura (Edo); Aderele Shinaba (Plateau); and Bala Hassan (Sokoto). Mr Ojukwu said that the IGP had also deployed a Commissioner of Police to command each of the senatorial districts of Gombe, Bauchi, Imo, Akwa Ibom, Lagos, Benue, Edo, Plateau and Sokoto States. For Rivers State, the IGP had redeployed the 32 Units of Police Mobile Force; 4 Units of Counter terrorism Units; 4 Units of Special Protection Units and 6 Crack Teams of Detectives from Force Criminal Investigation Department and complements of intelligence officers, to beef up security. The IGP had earlier announced the restriction of vehicular movement in 36 states of the federation from 8am to 5pm during the elections on Saturday. The measure is to ensure safety and security during the polls.